Excellent product and quick delivery of item. Worked as it should. No issues. Thanks!! Single-mode armored cables are with flexible steel tubes inside the outer jacket as the armor, which protect the fiber glass inside. The single-mode armored patch cables retain all the features of standard single-mode patch cables, but they are much stronger. They are widely used in many fields such as CATV, data storage, local area networks, telecommunication networks, and premise installations. The special cable facilitates bending it around sharp corners without having significant loss. 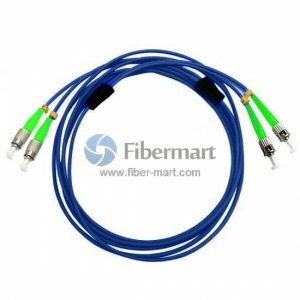 Our single-mode armored fiber patch cables are available with various cable sizes, pigtail, and simplex or duplex.